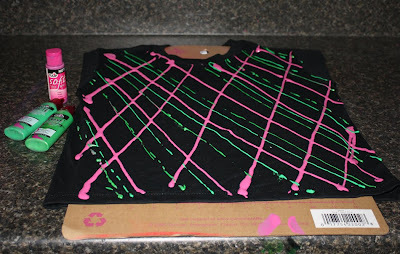 If you recall last week I posted an altered t-shirt dress inspired by the Proenza Schouler graffiti jeans for J Brand. 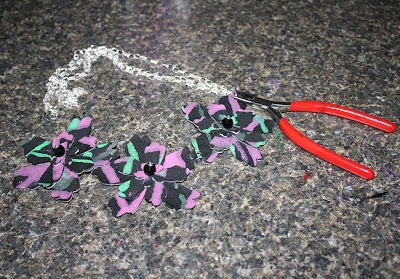 I decided it needed a little accessorizing, so I whipped up this fun fabric necklace to wear with it. I like that it matches...but not too much. 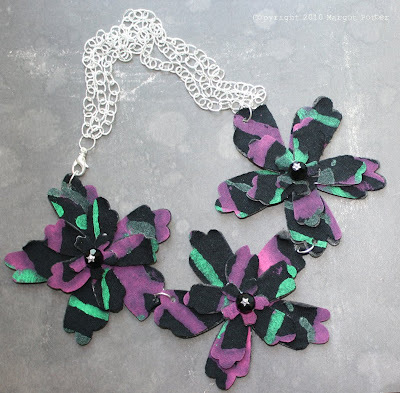 You can use any layered flower die to get this effect and the Grungeboard gives it structure, but it's the fabulous Tulip dimensional fabric paints that bring this design to life! Every teen has a pile of old t-shirts they can't wear anymore, so this is a great way to make your own upcycled Haute Couture. Make another set of flowers to attach to some flip flops if you want to rock a total look! 1. Slide form into t-shirt. 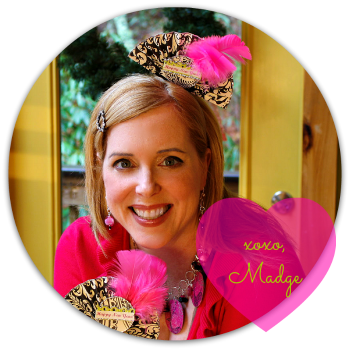 Paint stripes of pink and green across t-shirt in a loose plaid pattern. 2. 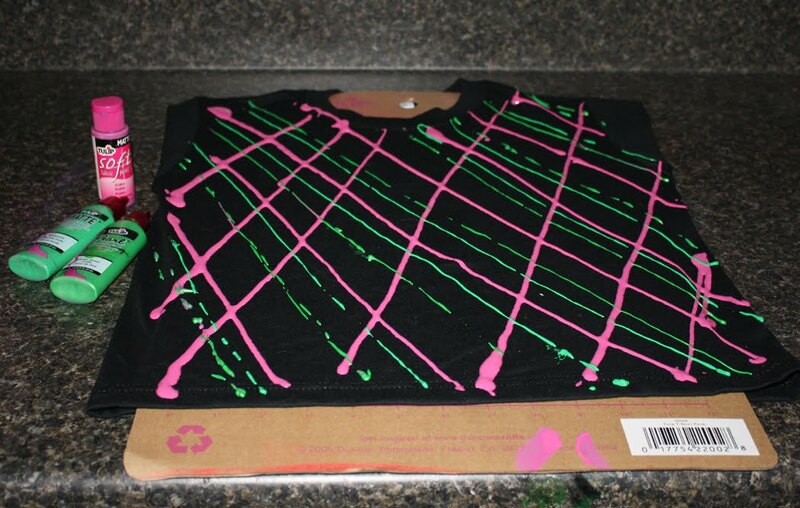 Press a large piece of cardboard across surface of t-shirt, compressing paint. Gently press across surface of cardboard to ensure all paint is compressed. 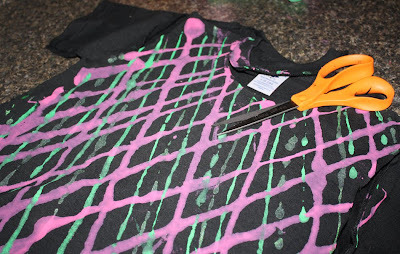 Remove cardboard and allow shirt to dry. 3. 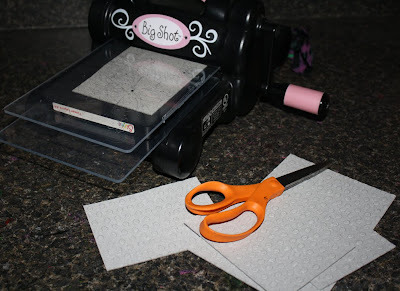 Use your die as a template to cut t-shirt squares. 4. 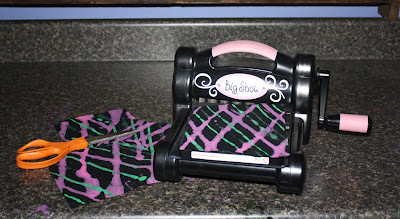 Roll t-shirt squares through die cutter to create flowers. 5. Roll grungeboard through die cutter to create flowers. 6. Use marker to make grungeboard flower surfaces black. 7. Use adhesive to attach fabric to grungeboard. Allow to dry. 8. Thread a headpin and the bead into the holes in the center of your three layered die cut flowers (if your die doesn't have center holes, use a sharp pointed tool to create them first. 9. 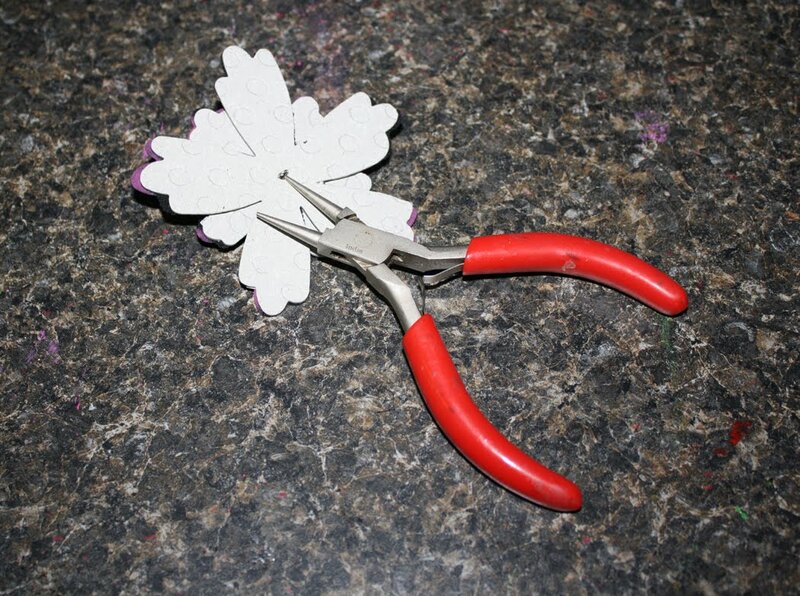 Bend wire flush to back of flower, cut to 1/8" and use round nose pliers to create a small loop. Repeat for all three flowers. 11. 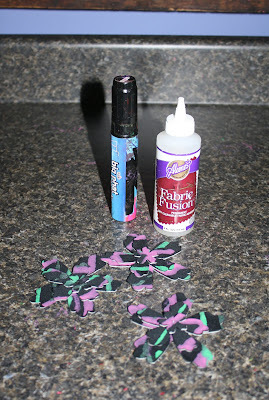 Use jump rings to connect flowers and add one jump ring to the outer petal on each outer flower. 12. Measure chain to desired length and connect with a jump ring to one end of flowers. 13. 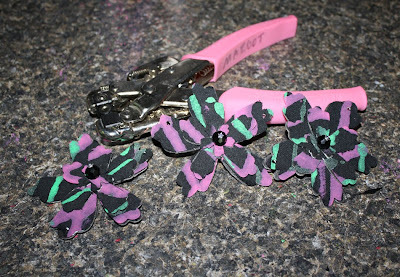 Attach a second jump ring and the clasp to the opposite end of chain. Okay, I am going to faint from this!! walking around with this on!! Wooow. Very inspiring. 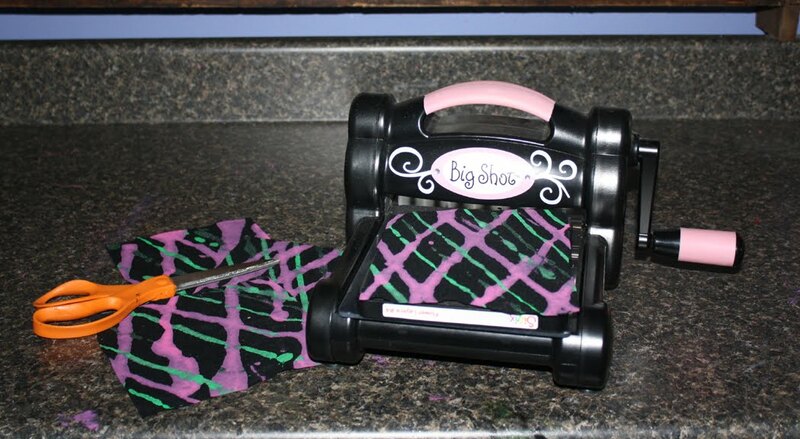 I wondered how one was able to make the fabric stiff enough.